This entry was posted in knitting, spinning and tagged baby, fiber arts, fiber arts friday, finished object friday, handspun, hat, Sprout. Bookmark the permalink. What a great looking hat!!!!!!!! Asa sure seems happy!! What a cool hat! and it looks great on your little one. Hope your swap partner loves it to bits. 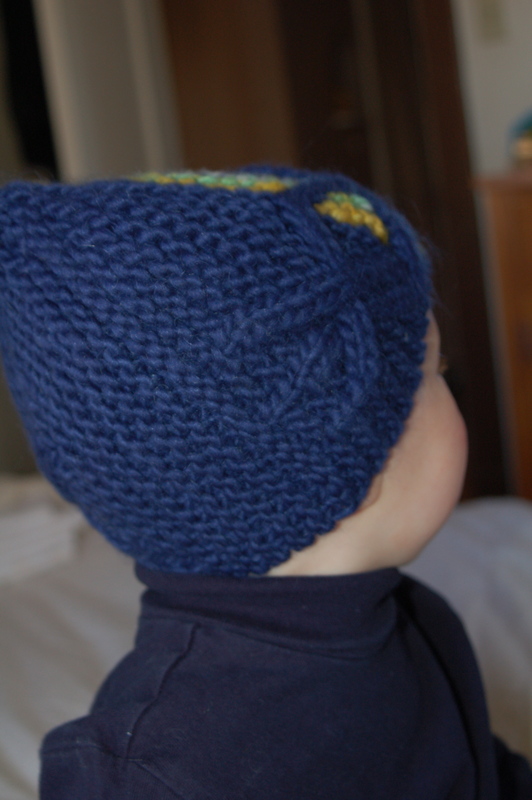 That is a great looking hat and your little guy models it well! Yep, that’s our Old English Sheepdog, Maisie. 🙂 Very furry. Hmmm, that yarn + Asa’s eyes = gold. Well, blue, but you know what I mean. So you’re saying I need to make him a hat or a sweater out of that navy yarn? Or out of the handspun, which did you mean? The hat is adorable! It looks so cute on both your son and the recipients son. Lovely hat! And the model is gorgeous. Cute hat + model! I’ve never done a swap before, sounds interesting..what’s the group? It was in our due date group, but I think there are groups just for swapping. And lost of groups occasionally do swaps. 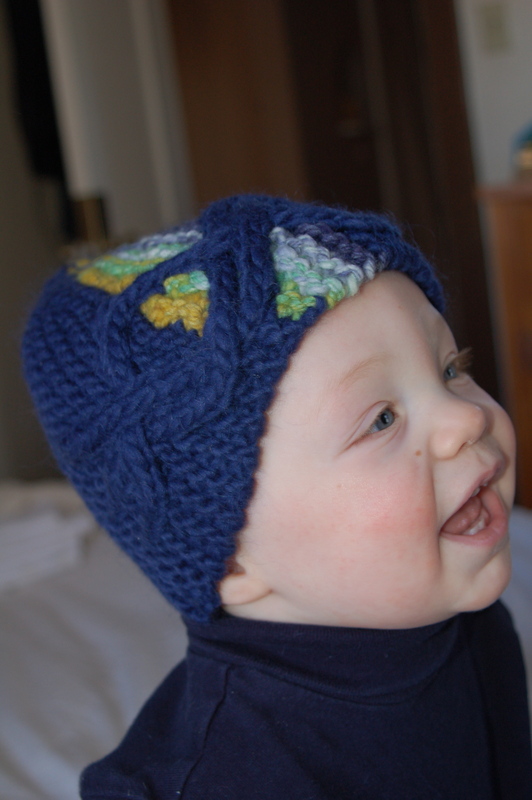 What came first…darling baby or darling hat? 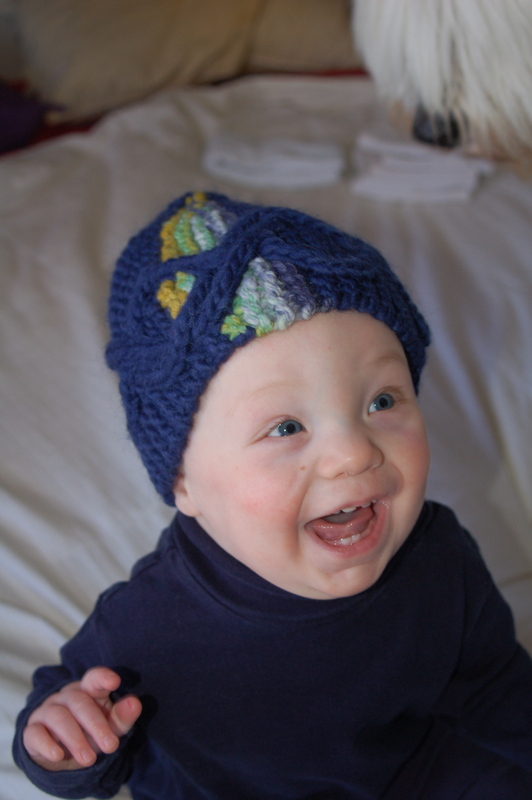 Hmmm….would the hat be that cute without the baby….I don’t think so! LOL! You did a great job (on both)! It really brings them out nicely, doesn’t it? What a cute hat! And he is such a cutie! What a happy baby!!! The hat looks great, but the baby makes the shot! That’s a great hat. I’ve had my eye on one of Lethal’s patterns for a long time too. That is one perfectly stylish hat! Looks so cute on your little one, too. Love the colors and unique design. Cute! 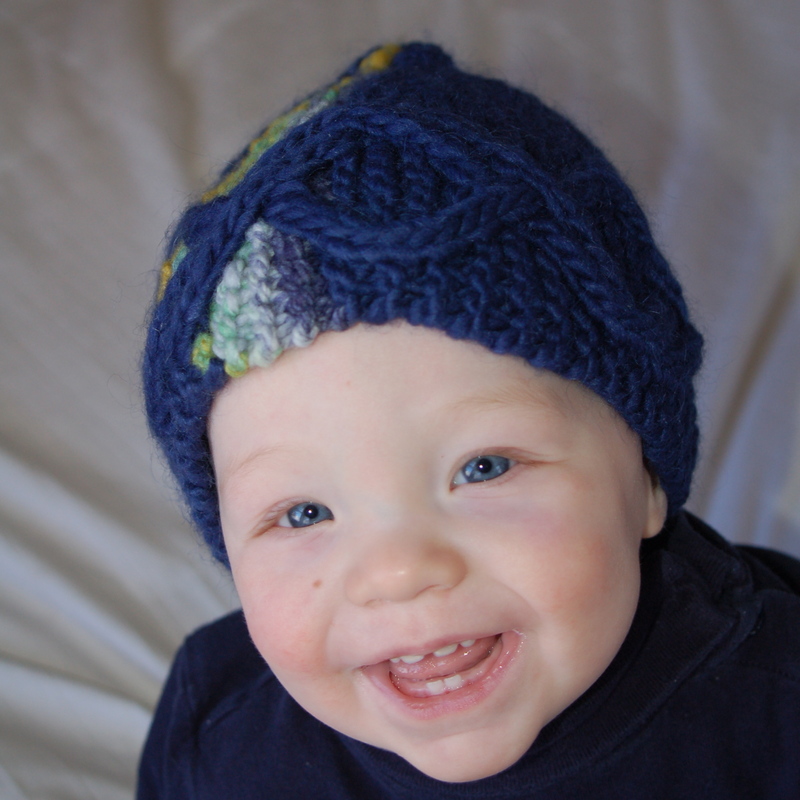 I am adding this to the list for the sudden rash of babies I seem to find myself in need of knitting for. What a cute hat and what a super cute model! 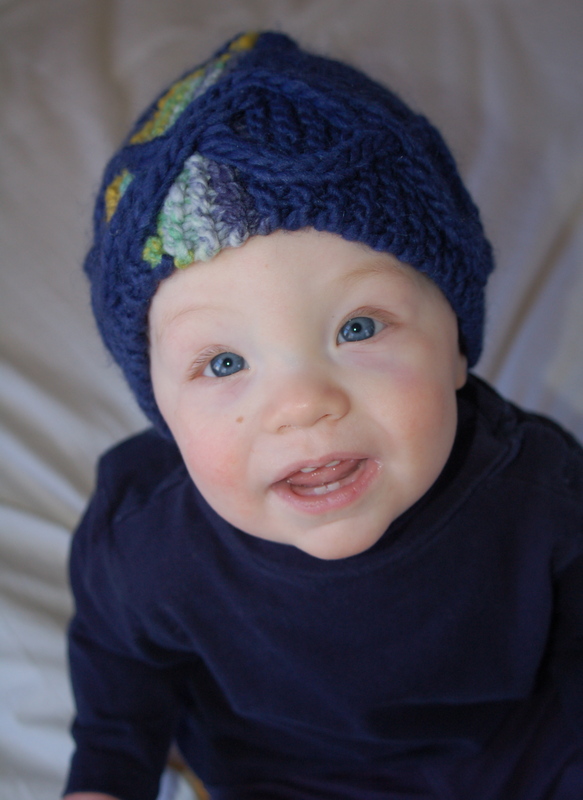 Adorable hat on an adorable baby! The hat is beautiful! And the colour looks adorably with his eyes. Seriously Hannah. I want to cry everytime I see his sweet little face (in a good, breathtaking way). He just looks so full of joy!